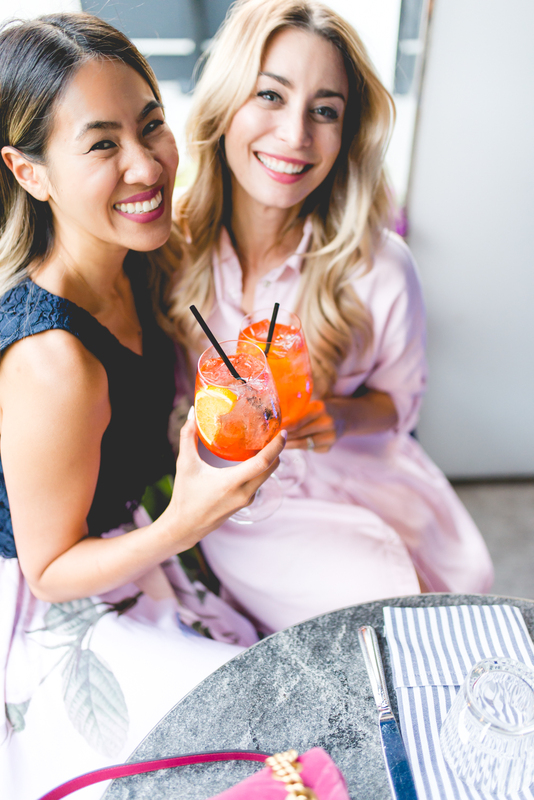 Toronto Staycation + Origins GinZing Energy Boosting Products | La Petite Noob | A Toronto-Based Fashion and Lifestyle Blog. 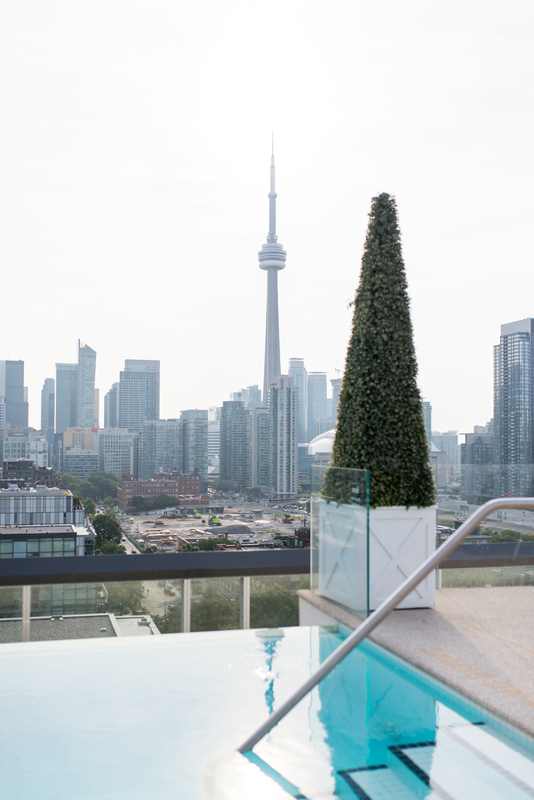 For those of you who follow me on Instagram, you will have seen that I had an incredible staycation in Toronto at the Thompson Hotel with Origins Canada. It was the perfect girl's getaway, and just what the doctor ordered. Sabrina and I were absolutely giddy as we checked into our gorgeous room at The Thompson Hotel in anticipation of the fun night ahead of us. I was so happy to be able to learn more about the Origins GinZing line. 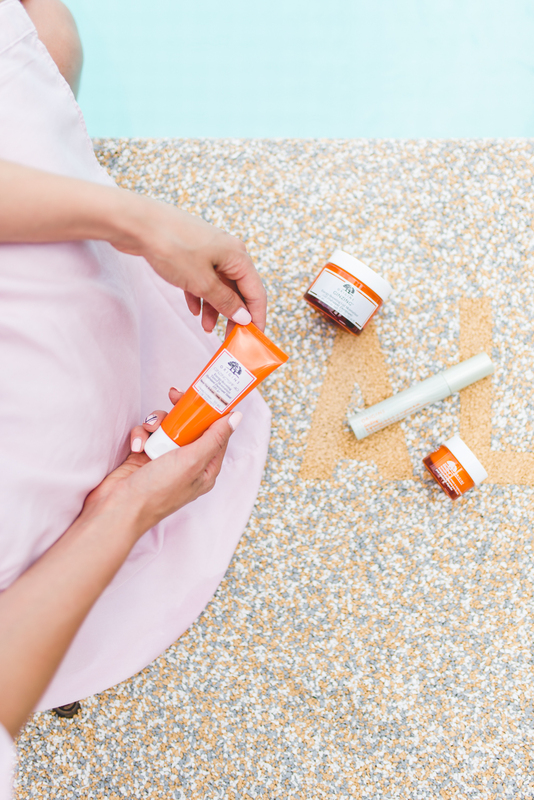 One look at the fun orange packaging, and you know that your skin is about to get a serious dose of energy. Formulated with energy-boosting products like coffee beans and Panax ginseng, and with a refreshing citrus scent, these products are like a good night's sleep in a jar. Myself with ultra-sensitive skin, I'm always very nervous to try out a new skincare line, but because Origins only uses quality ingredients I'm happy to report that I haven't experienced any breakouts or irritation from the products. The view from the Thompson Toronto rooftop is still my favourite in the entire city. What do you guys think? 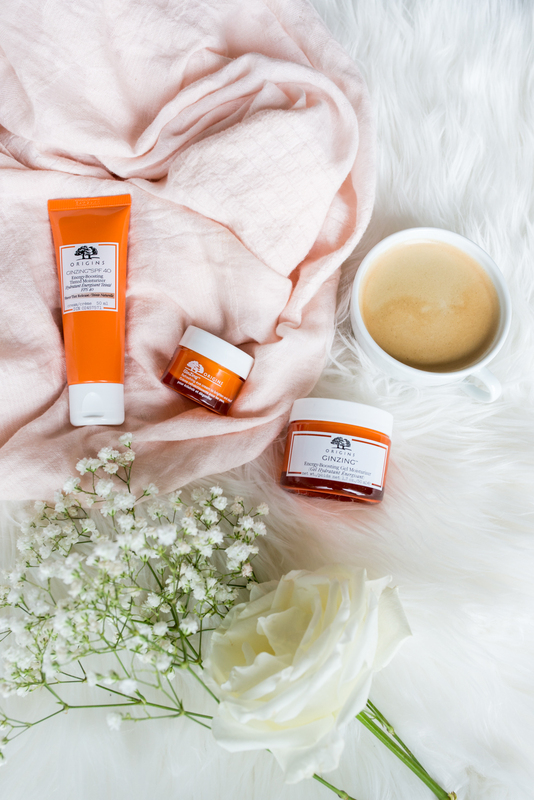 Have you tried the Origins GinZing products? Can you believe that a tinted moisturizer can replace a foundation? Have you ever been to the Thompson Hotel in Toronto? So many questions, lol! Let me know! Thank you Origins Canada for our amazing staycation, and for collaborating with me on this post. Your staycation looked like so much fun! Also, I've been using this line for the past few weeks and am obsessed. That tinted sunscreen is a game changer!